1. More than 15 years of experience building tanks in Australia and overseas. Engineers have got a large experience designing and making tanks. Prices are very competitive & reasonable. 2. 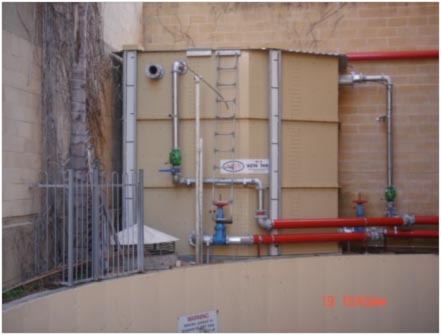 Fire water tanks have got four anticorrosive systems: the anodes system, the liner that avoids water contact to the metal, the Galvabond or Zincalume material and the coat of Colourbond, and the basement and Ring Beam of concrete that avoid the metal contact the soil moisture. 3. We use the best material and the most advanced technology for long lasting tanks. 4. We manufacture tanks under the client specifications. 5. The liner is the most strong and healthy liner for a secure and healthy water storage tank. 6. We make tanks to storage clean water, fire water, hot water, oil, chemicals, flammable, and other liquids. Email us for a specific brochure and Please place a request for a specific design. 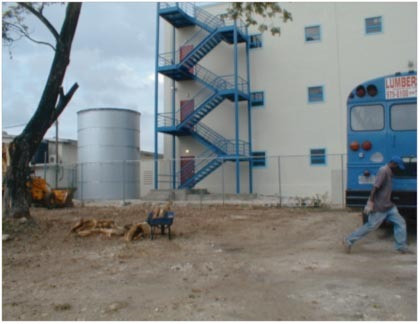 ACUS Construct custom built fire water tanks to your ”footprint” size. (If it is physically possible). ACUS have many years of experience and take pride in their work. ACUS always pride in the fact that they have an in-house engineer that can quickly design steel additions or modifications to you steel equipment.